Yes, they’re back!! Firmly established in their relatively short time together as a huge musical force and a strong, raw, yet vibrant sound on the British folk scene. 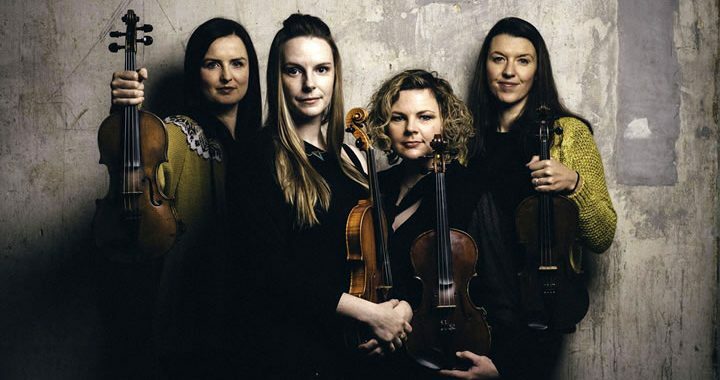 Using just their fiddles, they weave a tapestry of melodies, textures, layers and sounds. Known for their work as soloists and with various bands, this is a celebration of the instrument they all have a passion for. Four fiddles: one beautiful sound. Having left us spellbound during their visit in 2015, we eagerly await their return. Posted in McMillan Hall, Season 2017 - 18.